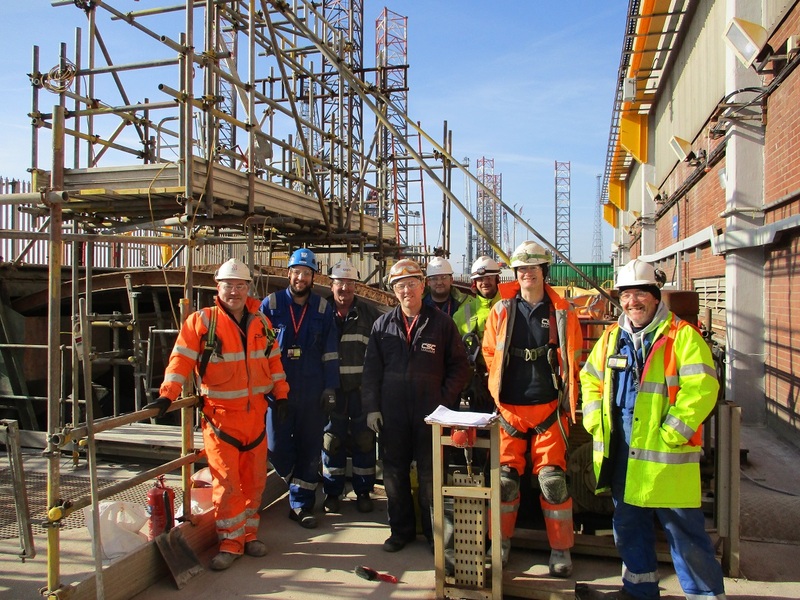 Working for EDF Energy‘s contract partner Cape, CSC Services installed a cathodic protection system to one of the drumscreen chambers at Hartlepool Power Station during the planed shut-down of one of the reactors. Two twelve-hour shifts were worked each day/night. 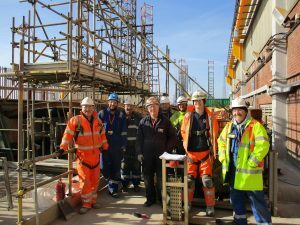 Meticulous planning and a scheme of 24-hour working meant power station refurbishment work that historically took over one hundred days was completed within three weeks by CSC Services. Carbonation and chloride ingress of the reinforced concrete structure had been caused by sea salt passing through the Drumscreen as part of the Power Station’s cooling process. A cathodic protection system was specified to address corrosion across the entire area treated. This could not be achieved with conventional repair methods without removing all the concrete where salt or carbon dioxide had penetrated. Hammer testing of concrete surfaces was undertaken prior to hydro demolition to give an estimated square meterage of repair site. Following the hydro-demolition of spalled concrete, a site inspection quantified the structural reinforcement replacement bar and anode requirements. 580 sacrificial anodes were installed and several hundred metres of structural reinforcement replacement bar in a range of dimensions fitted. Over 22,000kg of concrete was then spray applied to return the structure’s surface to profile. Access ladders, platforms and framework were then replaced. “CSC Services completed the full scheme of work in under 3000 man hours which was a great achievement. We were able to manage and successfully complete all stages of the work dramatically reducing the time associated with managing numerous contractors. CSC Services specialise in eliminating or minimising disruption to service and operations when undertaking refurbishment work. For more information call 0191 410 3444.